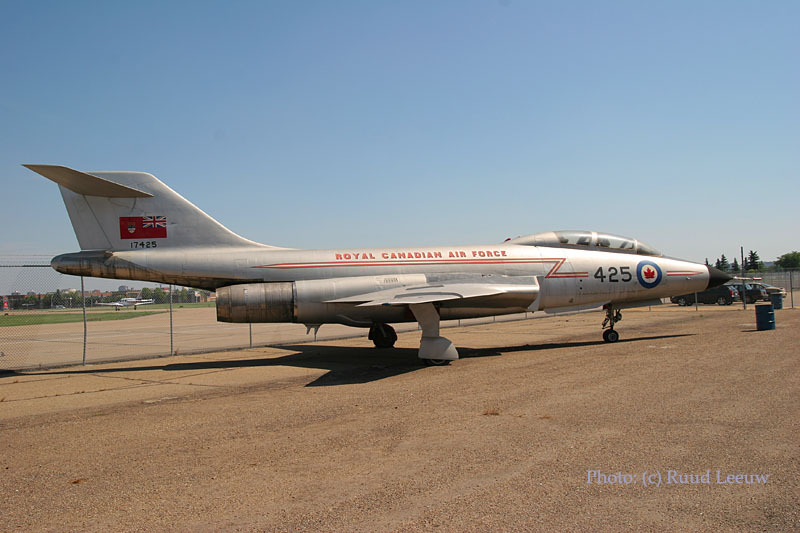 After visiting Vancouver and Calgary earlier on this trip, I stepped into the Alberta Aviation Museum (located at Edmonton's Municipal Airport, which has its ground saturated with aviation history) on Wednesday 28Jun06. 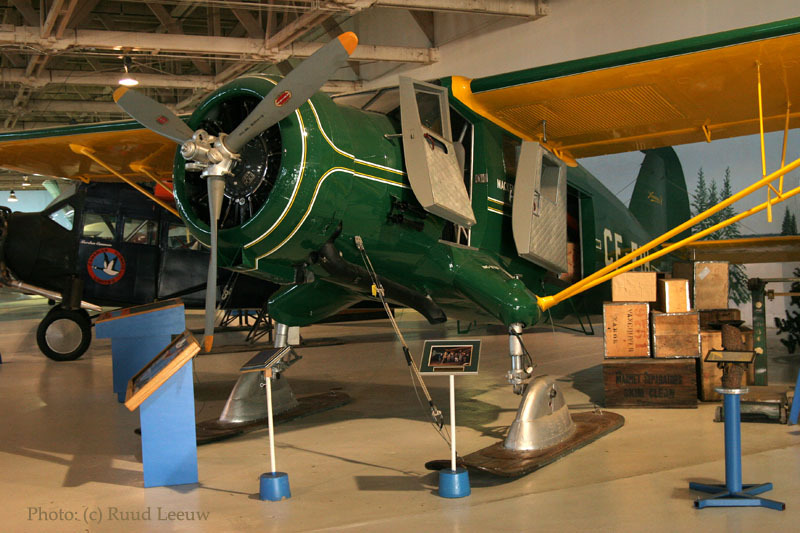 The original G-CAEB was the first amphibious aircraft in Canada; it was built in 1923 and one of the first aircraft used for bushp plane operations. The original was destroyed when, in 1932, it caught fire during a flight over the Straights of Georgia. The Avro Anson was a maritime patrol version of the Avro X1X airliner. It was the first RAF aircraft with a retractable undercarriage. But they were obsolete when the war broke out and were offered (!) to Canada and other Commonwealth countries. 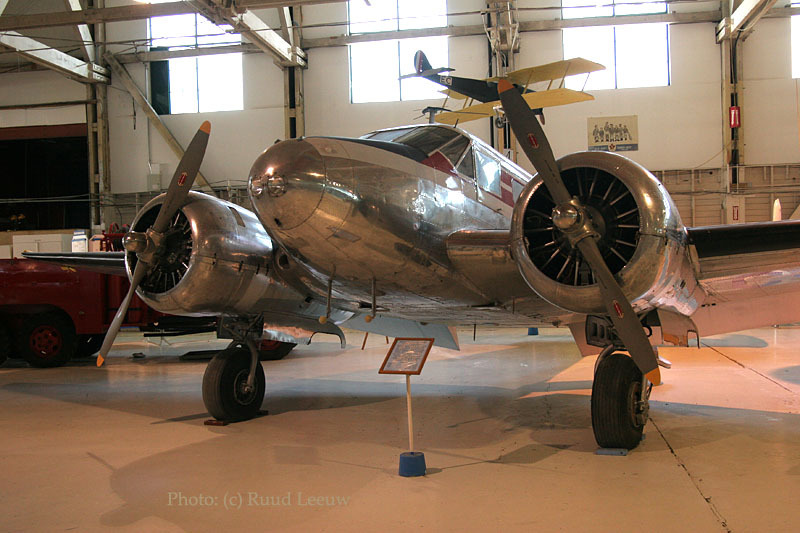 In Canada it became the standard multi-engine training aircraft and was even put in production as the Mk.II, with American Jacobs engines and other modifications. The hangar the museum is located in was part of the no.2 Air Observations School (operating 125 of these aircraft, training Navigators and Bomb Aimers). 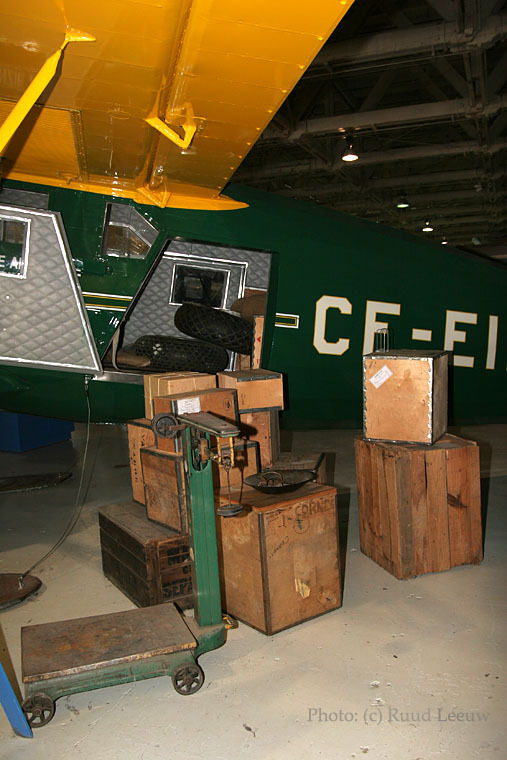 This particular airframe was produced too late to participate in WW2 and was stored in Scotland, where it was bought by Spartan Air Service (from Ottawa) in 1955 and was used in Kenya (and Canada) for aerial survey work. 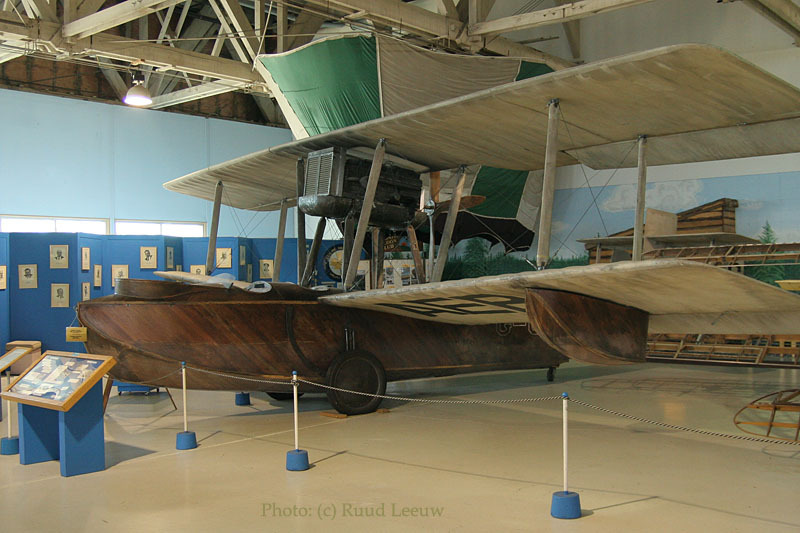 Its plywood construction suffered through years of inactivity and in 1993 the aircraft was handed over, on loan, to the museum for extensive restoration; over 10.000 hours of work went into this. The aircraft has been restored to represent an operational FB Mark IV wartime aircraft with the markings "TH-Z" , serial number HR 147. 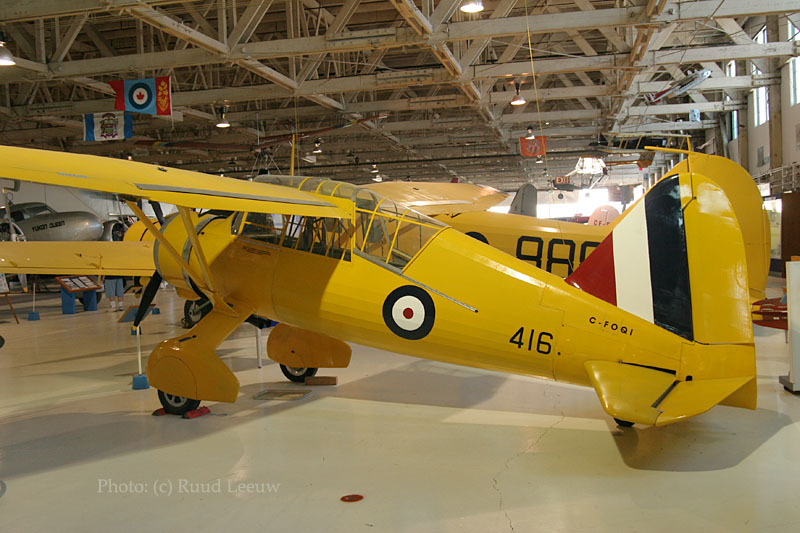 Beech D18S-3NM C-45 Expeditor CF-RSX. 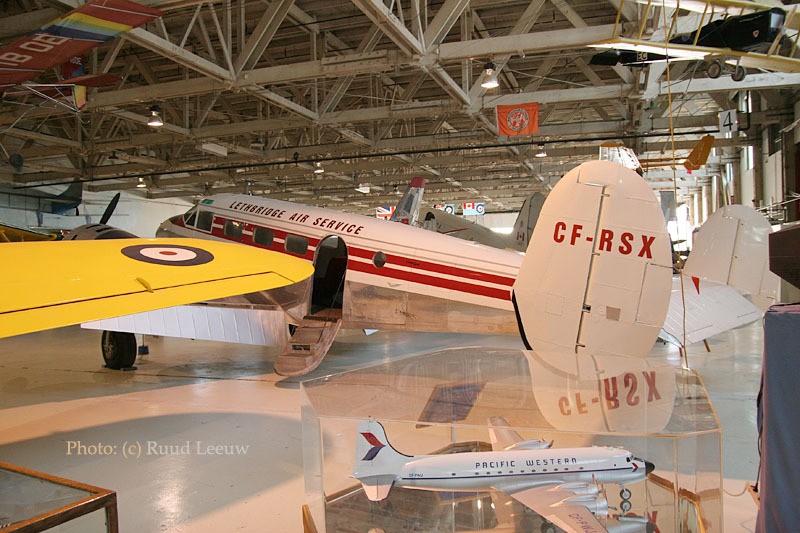 I was pleasantly surprised to see this aircraft still listed on the Canadian Civil Aircraft Register: CF-RSX has been registered to the museum since 08Jun92, has c/n CA 245 (you will also see reference to A-895) and was manufactured in 1952. 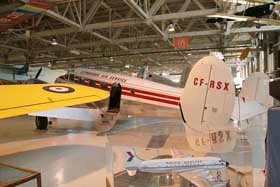 It was built for the RCAF, designated a C-45 Expeditor. 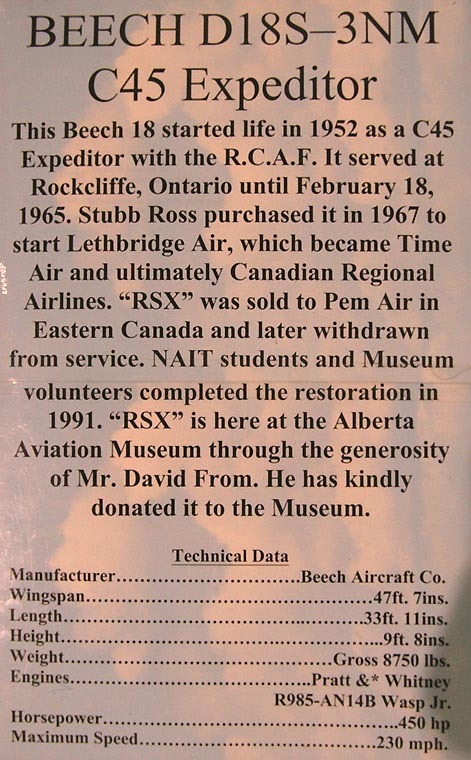 Stubb Ross bought CF-RSX in 1967 to start Lethbridge Air (which later became Time Air and later again, Canadian Regional Airlines). 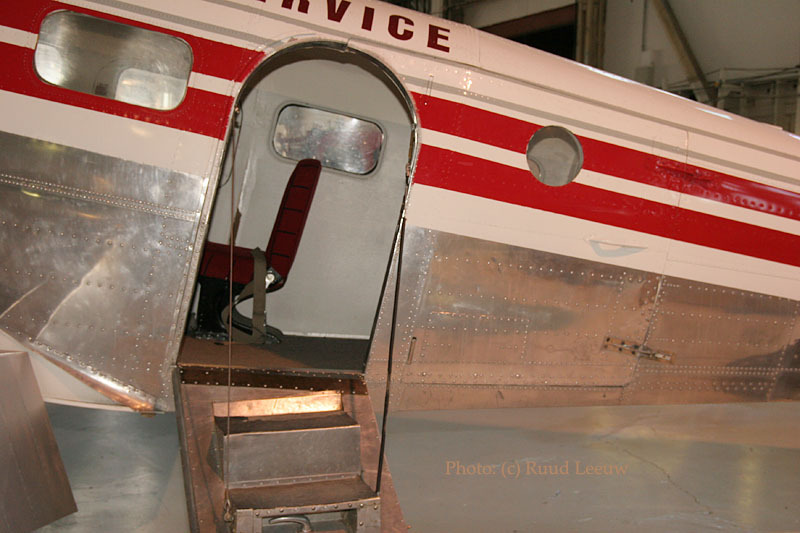 After operations by Pem Air it was donated to the museum, restoration was completed in 1991. 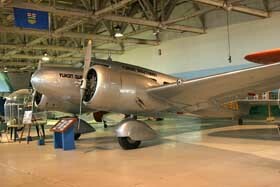 It much resembles a Beech 18 but was produced by Barkley Grow from Detroit, USA. Only eleven of these Barkley Grows were produced but 5 ended up in Edmonton area. Three were flown by Yukon Air Service and two by MacKenzie Air Service. 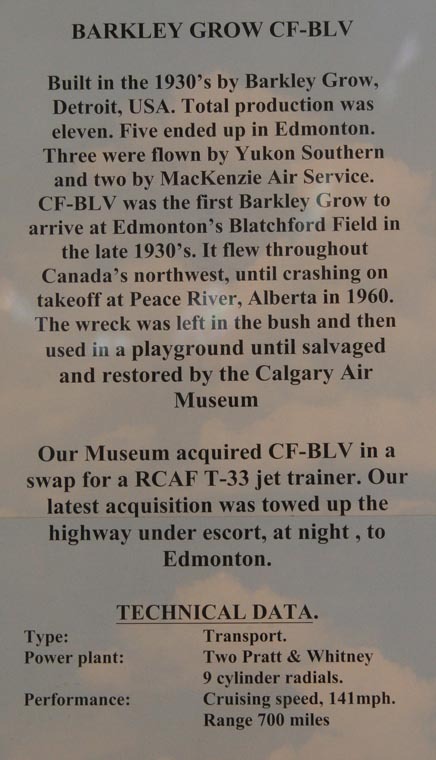 CF-BLV was the first Barkley Grow to arrive at Edmonton's Blatchford Field during the late 1930s. Some 30 years later, in 1960, it crashed on take off at Peace River,ALB and the wreckage was left in the bush (finding use as a playground at some point in time!) until it was recovered for restoration. 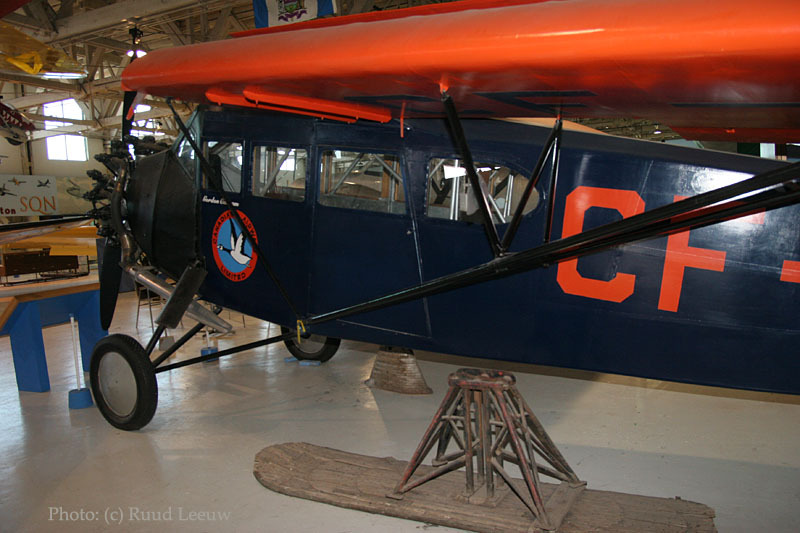 CF-BLV is on loan from the Aero Space Museum, where it was also restored. 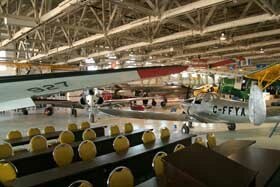 The Aero Space Museum in Calgary has another Barkley Grow in their collection! 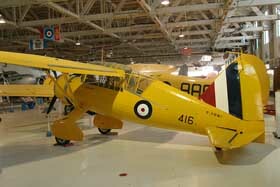 C-FOQI is a Lysander replica and was built in 1991; it is registered to Dr. Fenton McArdle of Edmonton. That wonderful skytruck of the bushplanes: the Noorduyn Norseman! 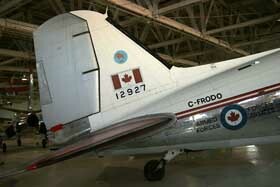 CF-EIH was originally built for the RCAF. After WW2 it was sold to Associated Airways of Edmonton and registered CF-EIH; shortly after this CF-EIH was bought by McDonald Aviation. 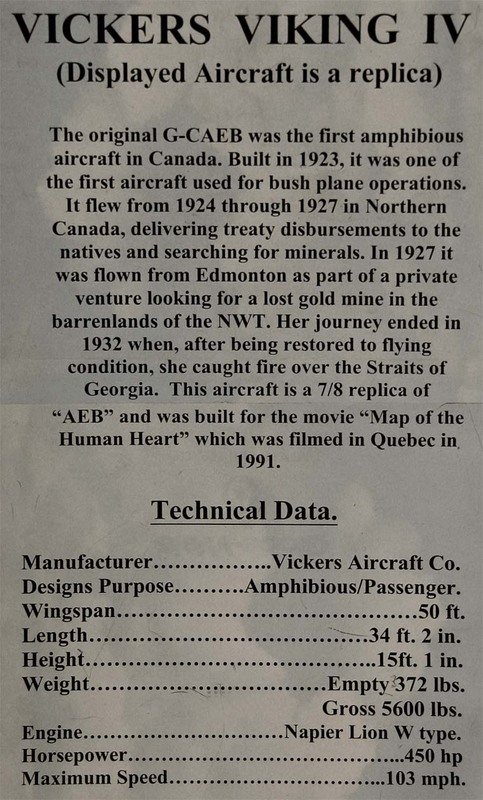 Fate struck a blow in August 1947 when 'EIH was damaged beyond economic repair while attempting to land on Allan Lake,NWT. 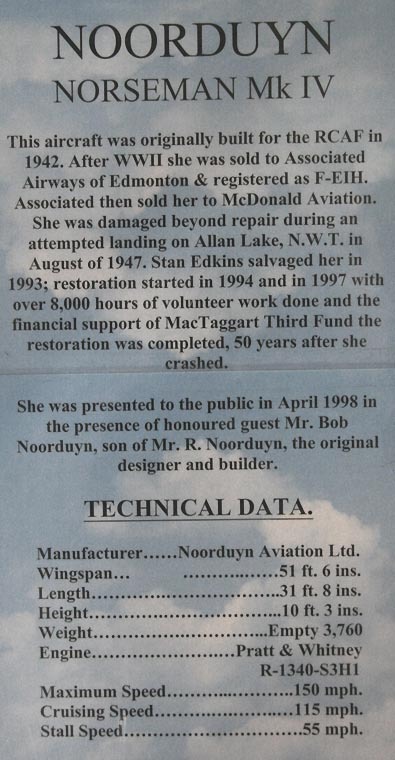 But Stan Edkins salvaged the Norseman in 1993 and restoration took place 1994-1997. It has been restored in the colours of Mackenzie Air Service. In April 1998 it was presented to the public in a ceremony also attended by Bob Noorduyn, the son of original designer and builder R.Noorduyn. The website http://www.ody.ca/~bwalker/RCAF_451_500_detailed.htm has this airframe as c/n 94, formerly used as by the RCAF with No. 1 Operational Training Unit, RCAF Station Bagotville, Quebec in 1943. See also further below! The Norseman was the brainchild of R.B.C. (Bob) Noorduyn. Born in Holland, he worked as a young engineer in England for Sopwith and Armstrong-Whitworth. He emigrated to the US in 1920, to work for Anthony Fokker. He organized the Atlantic Aviation Corporation, which became the Fokker Aircraft Corporation. Together they conceived the Fokker Universal, later followed by the Super Universal. He was also instrumental in the design of the Fokker Trimotor. 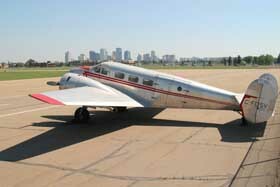 In 1928 he joined the Bellanca Aircraft Corporation and worked on the famous Bellanca Pacemaker. 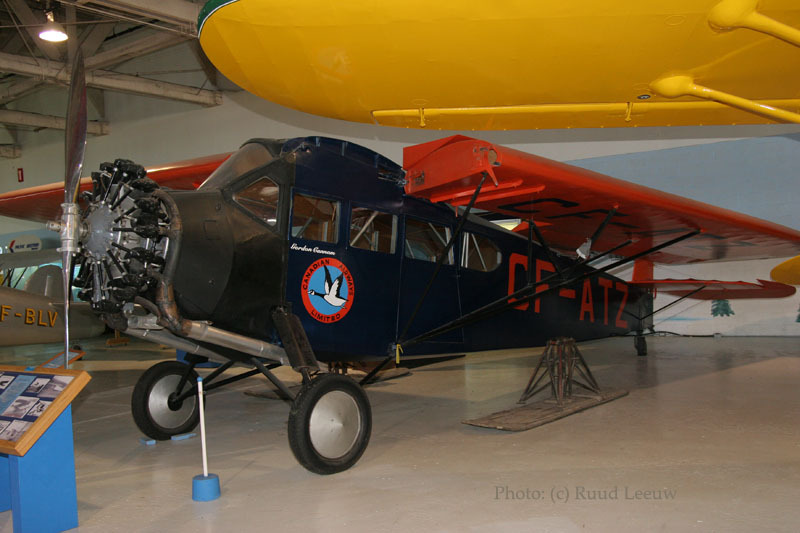 In 1934 Bob Noorduyn and Walter C. Clayton went to Montreal,Canada and started Norseman Aircraft Ltd. 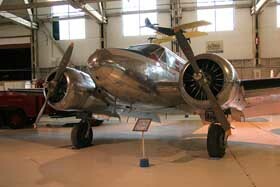 The prototype Norseman first flew November 14, 1935. 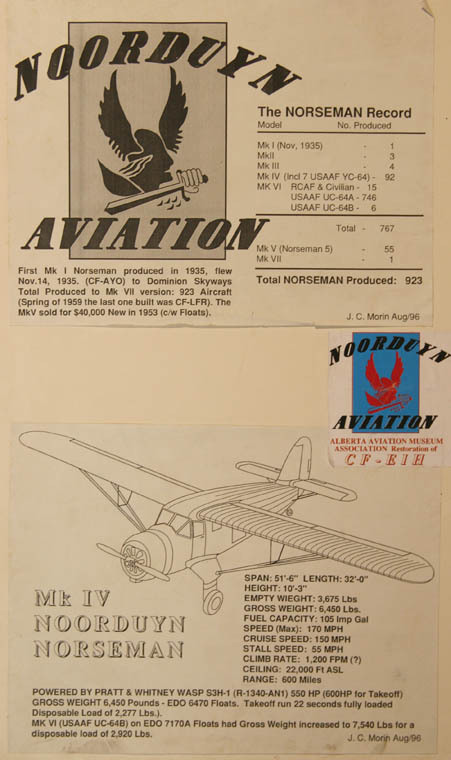 Many Norseman were used during WW II by many countries, but chiefly by the US Army Air Force as a utility cargo plane designated UC-64A. 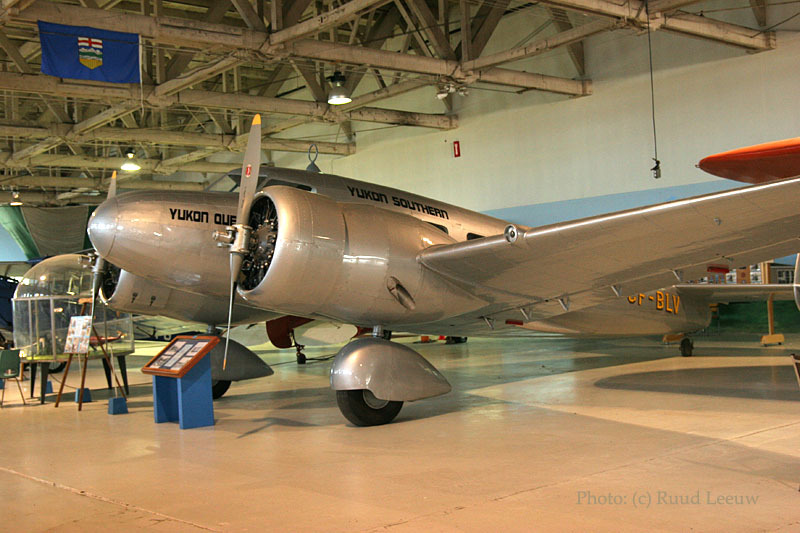 It became the popular replacement of the Fairchild and Bellanca bush planes of the North. In Shirlee Matheson's book 'Flying the Frontiers, Vol.III' (subtitled 'Aviation Adventures Around the World') its short career is detailed as well as restoration of CF-EIH. The cChapter 'The Merger of the Masters' details the background and anecdotes of two volunteers working for the museum: Chuck MacLaren and Gordon Cannam. They got stories to tell. 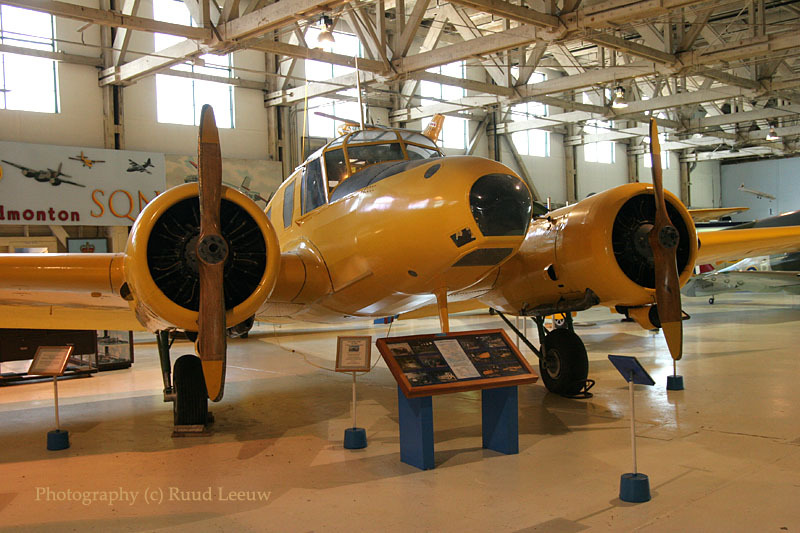 This Noorduyn Norseman CF-EIH, with construction number 94, began its life in March 1942 and first carried RCAF serial 493. 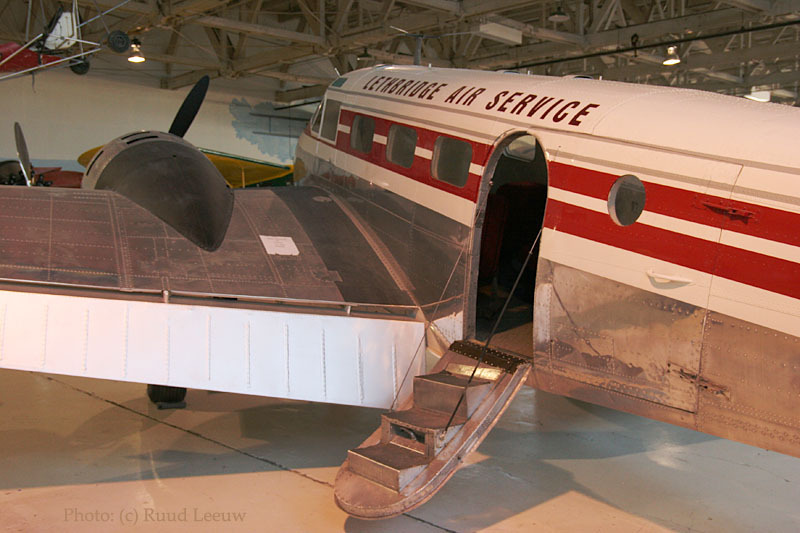 In August 1946 it was struck of charge by the military and on 05May1947 sold by War Assets to Associated Airways of Edmonton for one dollar through Kashower Air Service Ltd in Oshawa and duly registered CF-EIH. A major overhaul and replacement of component parts was undertaken by Weston Aircraft Ltd in Oshawa on behalf of the new owners, Associated Airways. The work that went into it, to obtain its Certificate of Airworthiness, seems to indicate it had been involved in a major accident or had been assembled as a 'hybrid'. On 29May1947 it was sold to McDonald Aviation Company Ltd in Edmonton. A document by J.J. Currie (Resident Inspector, Air Regulations, Edmonton) dated 12Jun47 confirmed CF-EIH as a hybrid. It had been registered as a Mk.IV, yet had Mk.V landinggear and the fuselage incorporated a detachable engine mount which wasn't original to the Mk.IV but rather Mk.V or Mk.VI. But when things were resolved satisfactorily a CofA was issued on 08AUg47. The mongrel departed for Yellowknife in early August 1947, where it was operated through Charter Airways Ltd.
Its life terminated just a few weeks later, on 25Aug47 ! "It had only a few hundred hours on it when they put it in the bush! ", Gordon 'Gordi' Cannam tells in this account. It was damaged beyond repair at Allin Lake on the Cameron River, 52 miles north of Yellowknife, during an attempted landing in a strong cross-wind.All 5 occupants survived the crash. CF-EIH lay on the shore of remote Allin Lake, abandoned and wrecked, half in and half out of the water, for many years. Then in 1960, Stan Edkins of Fort Smith decided to salvage it and ship it home. By this time 'visitors' had taken all kind of removable parts from the aircraft: flight controls, doors, floats, instruments, etc. A tree was growing through the spars of one wing; when the stump was cut, 50 rings were counted on it (the stump all resides at the museum!). The Norseman was donated to the museum by Stan Edkins and was stored, awaiting a plan and funding. Restoration of such a wreck takes a lot of money, but an associated company in England wished to donate a sizable amount of money for a worthy cause. 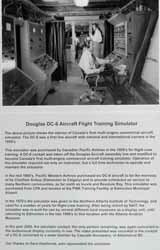 Sandy Mactaggart, a well-known businessman in Alberta, had been involved with aircraft for many years. The Mactaggart Third Fund and the Mactaggart family, headquartered in London (UK), released some $25.000 to restore CF-EIH. A good supporter was also Joe McBryan, owner of Buffalo Airways. Many required parts were obtained from or through him. Manhours was all done through volunteer work; funding went to essential components or work that needed doing by others outside the museum. 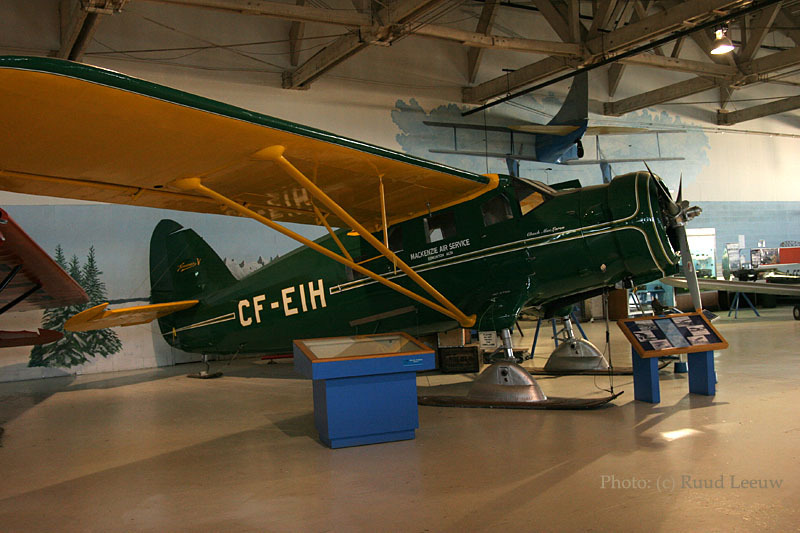 Norseman CF-EIH was by Oct.1997 partly restored (Matheson's book, which details this history, was published in 1999). MacLaren and Cannam pointed out a few items to the author. The skis had been donated by Joe McBryan; they are traditional ones, designed by the Elliott Brothers who made many such types for different aircraft over the past 70 years; but the modern 'wheel-ski' has completely replaced the all-wood Elliott Brothers ski. 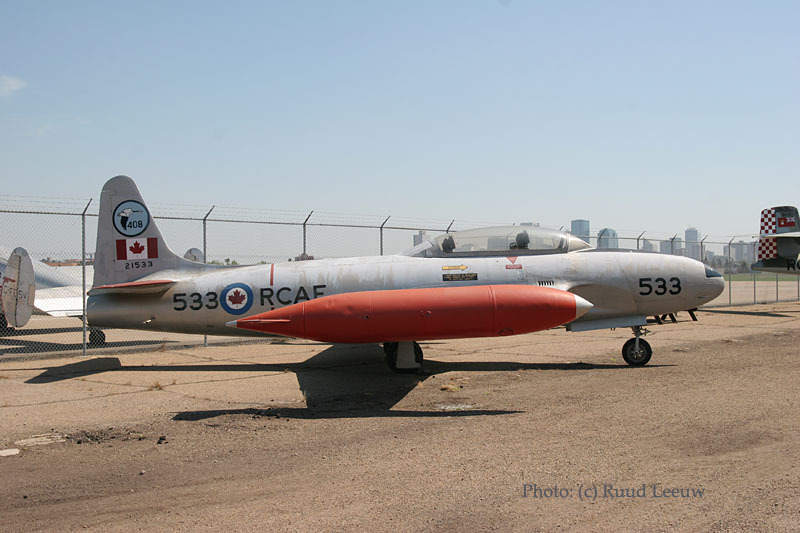 CF-EIH was rolled out on 18Apr98, restored after 8.000 hours of volunteer labor, in the presence of Robert Noorduyn Jr as well as former Norseman pilots, engineers and other lovers of 'Canada's Thunder Chicken'. This Norseman was dedicated to Chuck MacLaren, just like the Fairchild 71-C CF-ATZ has Gordon Cannam's name on the fuselage. 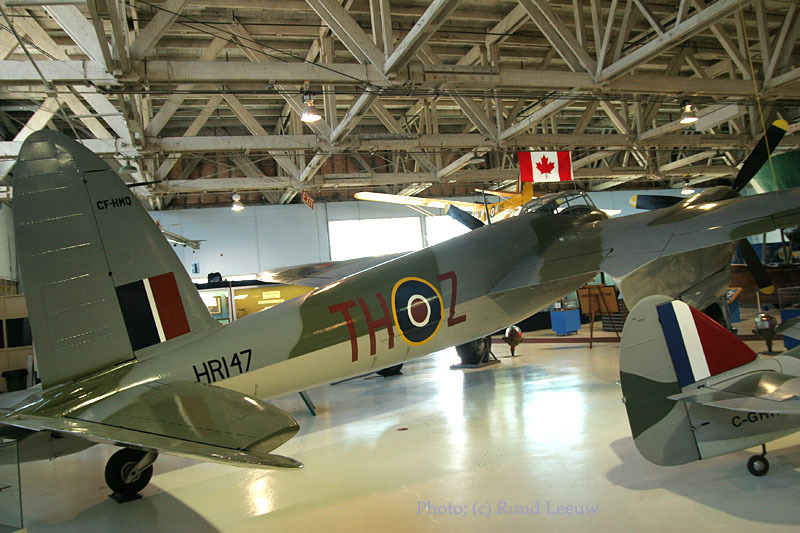 The story in the book continues with many more 'tales' and also tells about the many restorations carried out by these men for the Alberta Aviation Museum. The entire book is recommended reading. Also check out Volumes I and II. Fairchild 91C CF-ATZ was built in 1933 and bought by Canadian Airways (later: Canadian Airlines Int'l). 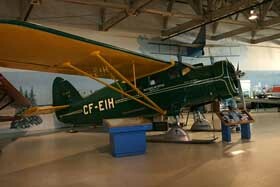 Territorial Air Service bought it in 1941 but its flying career ended abruptly, when it crashed at Lake Aristofats, 110 miles East of Yellowknife on 24sep49. Max Ward and Matt Berry salvaged the crumpled airframe, but it remained at the lake until 1981 when the Alberta Aviation Museum (with great help from Buffalo Airways and 435 Sqdn of CFB Namao) brought it over to Edmonton. Some notable pilots included Punch Dickens, Wop May, Matt Berry and Lewis Leigh. An overall view of the museum. C-FYYA is an Ercoupe C.D. and the museum offers the following information. 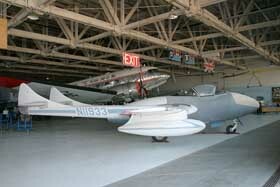 Here is more info, provided by the museum, of various aircraft in their collection. This similator was bought by Canadian Pacific Airlines (CPA) in the 1950s. 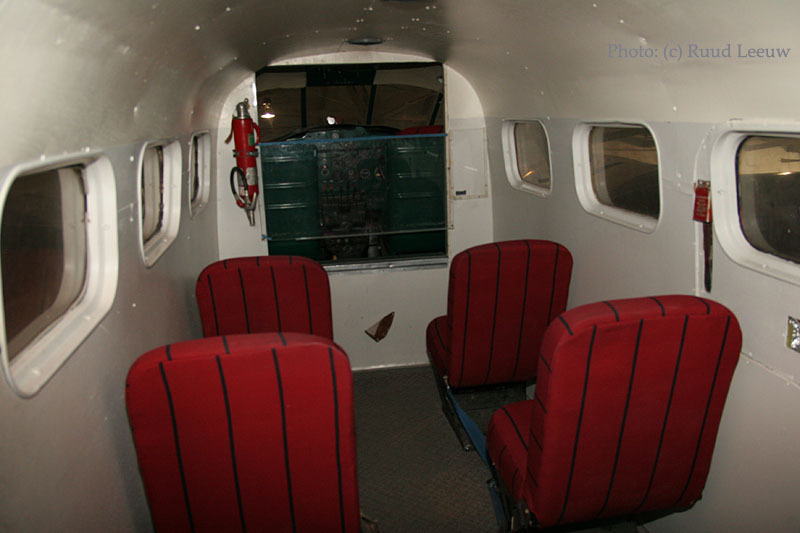 The DC-6 cockpit had been taken off the Douglas production line and modified to become Canada's first multi-engine commercial aircraft training simulator. in the mid-1960s Pacific Western Airlines bought six DC-6 aircraft to provide service on the Edmonton-Calgary route as well as to many Northern communities (e.g. Inuvik and Resolute Bay). This simulator was bought from CPA and placed at the PWA Training Facility at Edmonton Municipal Airport. 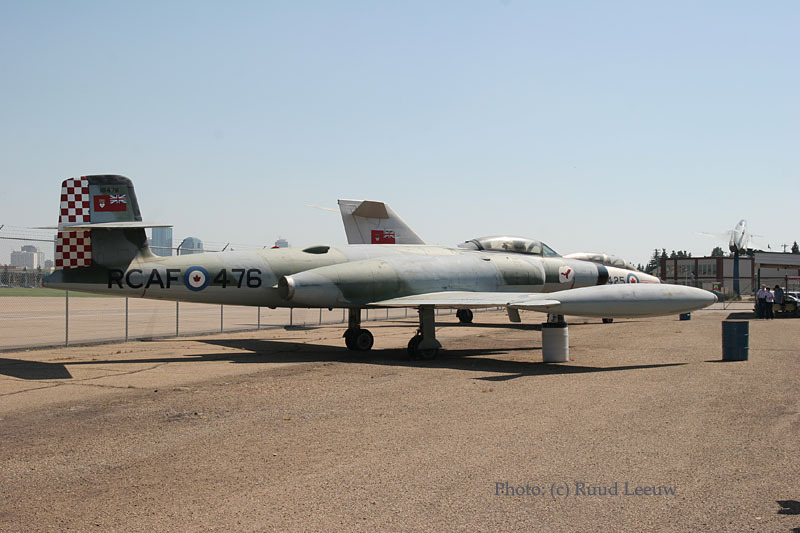 This deHavilland Vampire is here on display, courtesy Joe MacBryan ('Buffalo Joe") of Buffalo Airways. 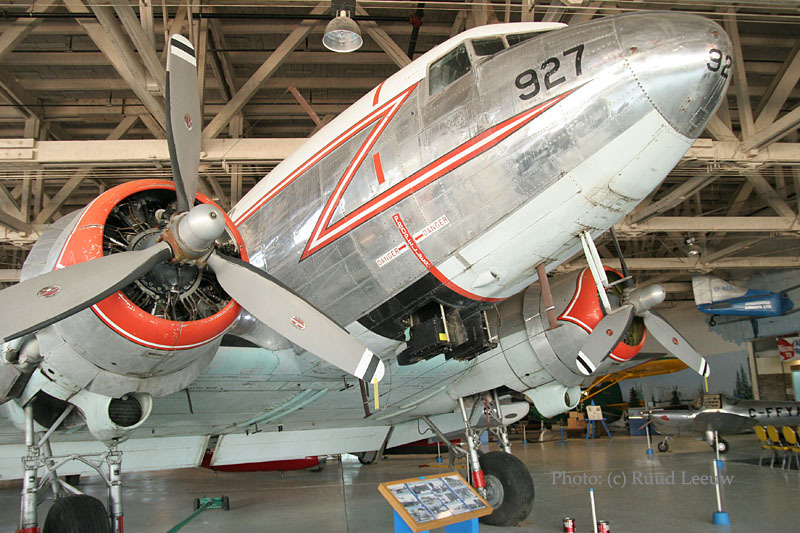 This C-47 Skytrain (c/n 13028) was delivered to the USAAF as 42-108918 and transferred to RAF Montreal as KG545. It remained in RCAF's (designated a CC-129 Dakota III) military service (at one time reregistered to 12927) till Buffalo Airways bought it in 1980 and had it registered as C-GPNW. 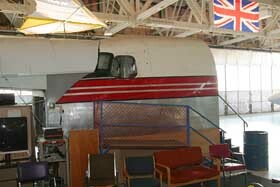 Later it became C-FROD and it was stored at Red Deer until May 2004 when it was brought by roadtransport to this museum. I photograped it at Red Deer in 1999. You may want to check out Mikey McBryan's Plane Savers video Episode 76, Joe McBryan himself takes the viewer inside C-FROD and details its history! C-FROD was originally assigned to Buffalo's C-47A c/n 12307, but it was cracked up during an emergency landing 26Jun94 at Simpson. 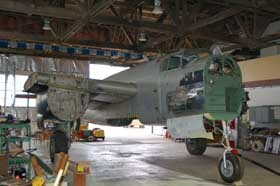 It may still linger at Hay River, Buffalo Airways' maintenance base. first one was damaged beyond economical repair." Strange: I could not find this DC-3 on the Museum's website! YouTube has a taped interview, dealing with the history of the aircraft here at the museum. 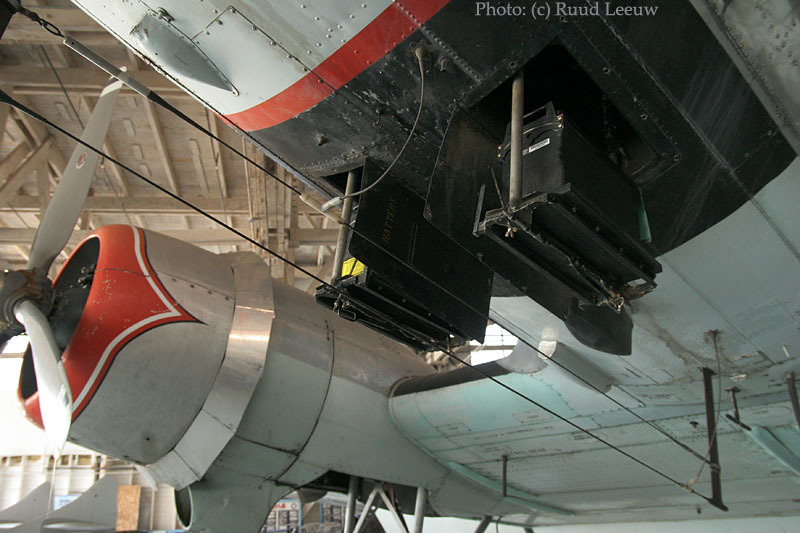 Paul Chandler informed me: "These are the aircraft batteries and the trays they sit on are spring loaded. The batteries have pointed terminals which plug into sockets up inside that space. 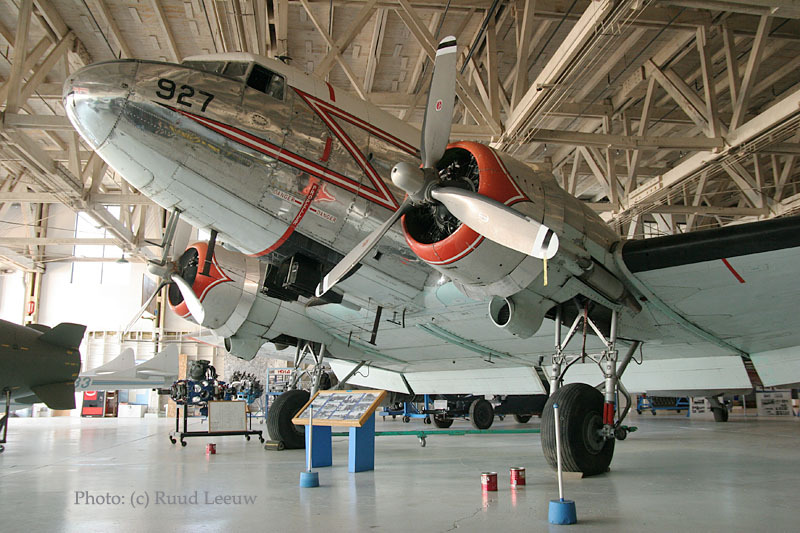 I only know this because I have (on occasion) worked on a DC-3 that is now in Holland and had to remove the batteries. They are very heavy!" The restoration hall; a smell of glue (I think) prevailed. This page does not give a complete inventory of what is to be seen at this museum, more can be learned by taking the tour offered on the museum's webpage. And from this tour I suspect that the aircraft under restoration on the right is Stinson C-FOAY. 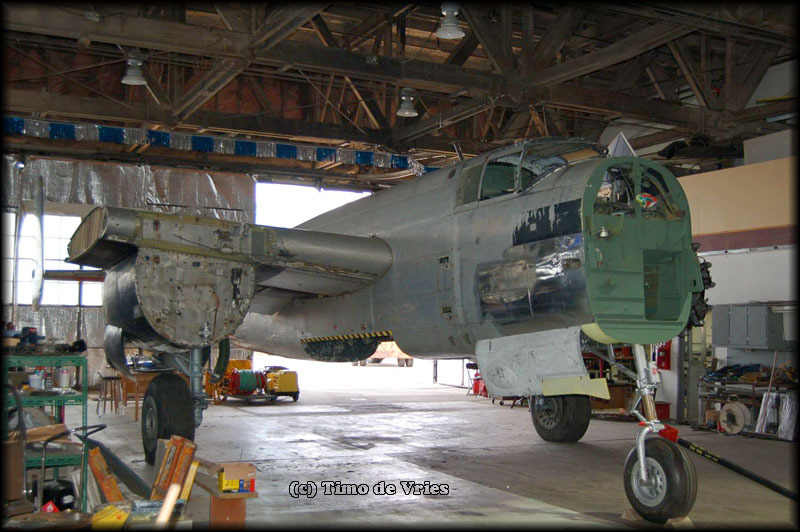 By the info provided on the website Aero Vintage Books / B-25 Locator	I found this to be a B-25J Mitchell bomber, USAF 44-30791, RCAF 5273. 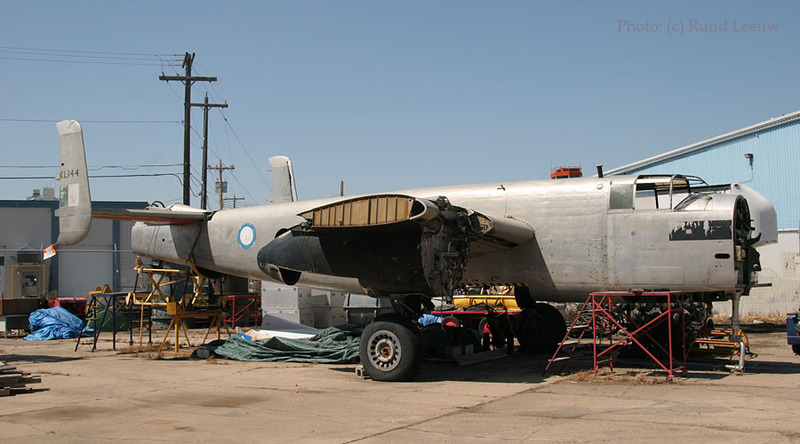 It was reported to be in storage (a fuselage and center section) but comparing it with the photo on that webpage I'd say some restoration has been done. 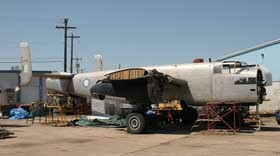 Timo de Vries sent me this photo, taken by him at the museum on 21Sep07: proof of progress having been made! Good work by the staff and volunteers of the museum ! No part of this museum (as yet?) but a pleasant surprise nevertheless! This Beech D18S C-FDSV proved to be elusive on my visit to Westlock earlier this day but now I stumbled into it by accident! C-FDSV (c/n A-25) was apparently bought from that parachute club, but was unable to support it. On 26Oct06 it was bought and registered to James A.M. Salzman of Edmonton so maybe there still may be a flying career awaiting this fine looking taildragger. I stopped at a nearby photography store (McBain) to get a problem solved on a compactflash card (since I still had some photography in front of me, I decided to buy an additional one). 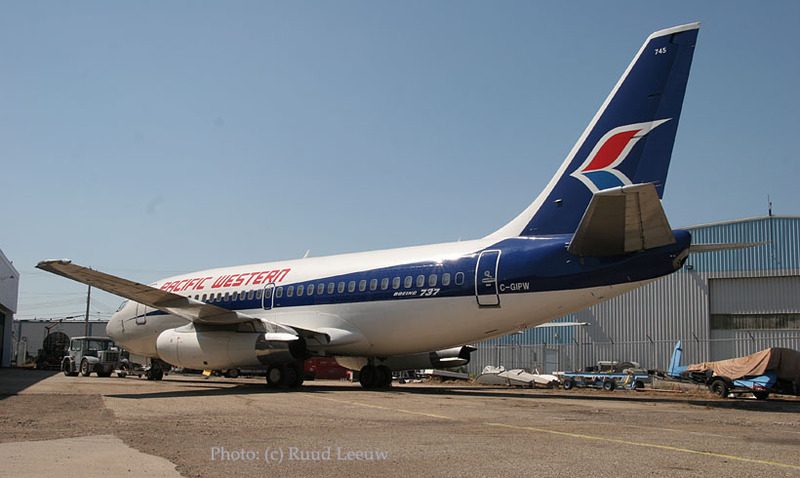 The wheels on the Alberta Aviation Museum's prized Boeing 737-200 lifted off the tarmac at the City Centre Airport never to return, with the same fate awaiting at least 15 other historic aircraft before the last runway officially closes at the end of November. 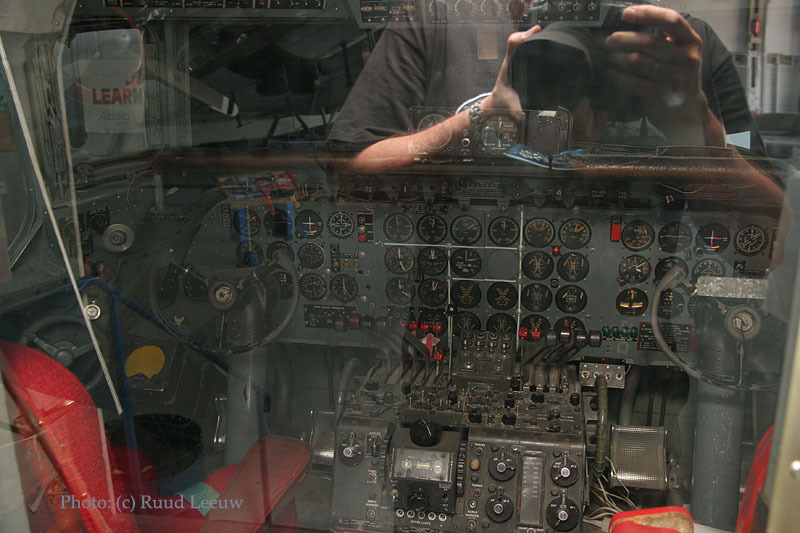 "It feels pretty sad to lose it," said Roy Reaville, who piloted that very plane until his retirement while conducting the last public tours of the jet for the foreseeable future. "We've spent the last eight years looking after it, I've spent the first 12 years flying it, and to see it go, it's not a very good feeling." The aviation museum hosted an unofficial final fly-in on Saturday, Oct. 12, that saw over a hundred aviators from the far reaches of the province and even as far as Saskatchewan make their final touch-down at the City Centre Airport, celebrating the century-long history of Blatchford Field. 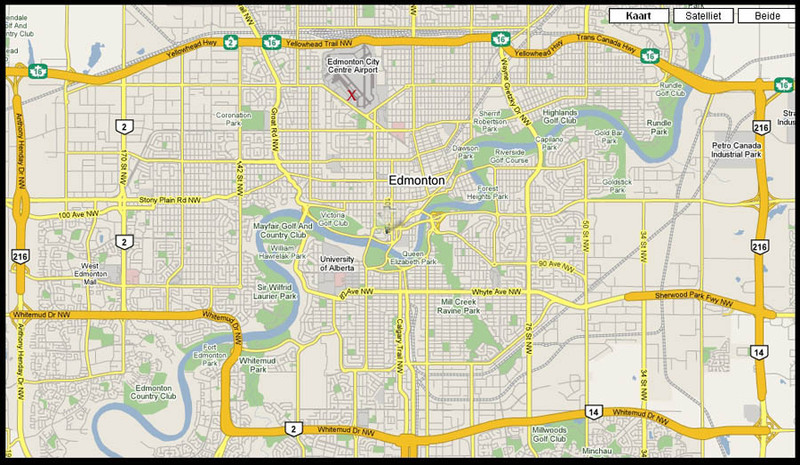 In the early 1930s, Canada carried more air cargo than the rest of the world combined, with more cargo carried off of Blatchford Field, known now as the City Centre Airport, than the rest of Canada. During World War II, over 30,000 recruits from 15 different countries were trained for combat there. The far end of the field was home to the United States Army Air Force, where, as part of the Northwest Staging Route, thousands of aircraft were sent to the Soviet Union to combat Nazi forces on the eastern front, all launched from Blatchford Field. 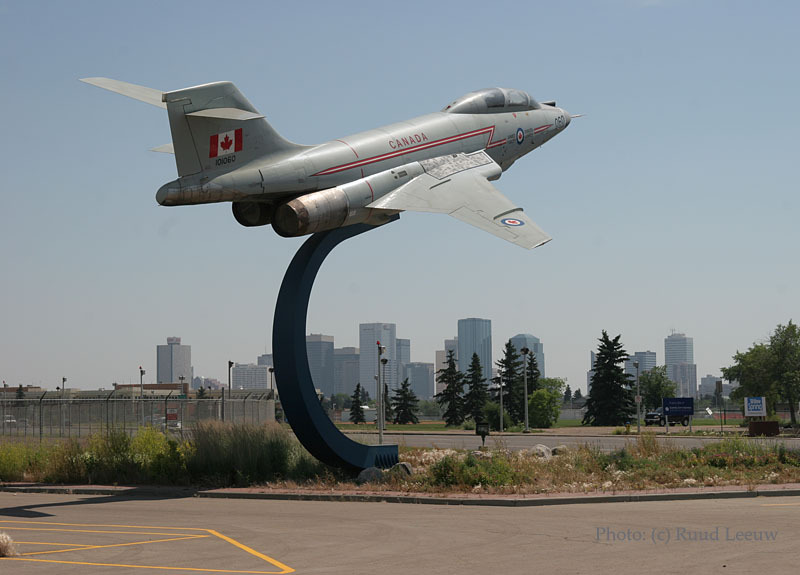 During that time, Blatchford Field became the busiest airport in the world, seeing nearly a thousand aircraft a day flying in and out, necessitating the creation of modern day air traffic control. Grant McConachie, a Canadian bush pilot who became the CEO of Canadian Pacific Airlines, pioneered Orient routes flying over the pole from Blatchford Field, earning him the McKee Trophy for his contributions to Canadian aviation and a place in Canada's Aviation Hall of Fame in 1973, while earning Blatchford Field the nickname "Cross Roads of the World". Wilfred "Wop" May invented Para-Rescue, where paratroopers would be dropped onto airplane crash sites in the second World War, a technique he created in the hanger where the museum still exists, receiving a medal from the Government of the United States for all of the lives saved by his efforts. 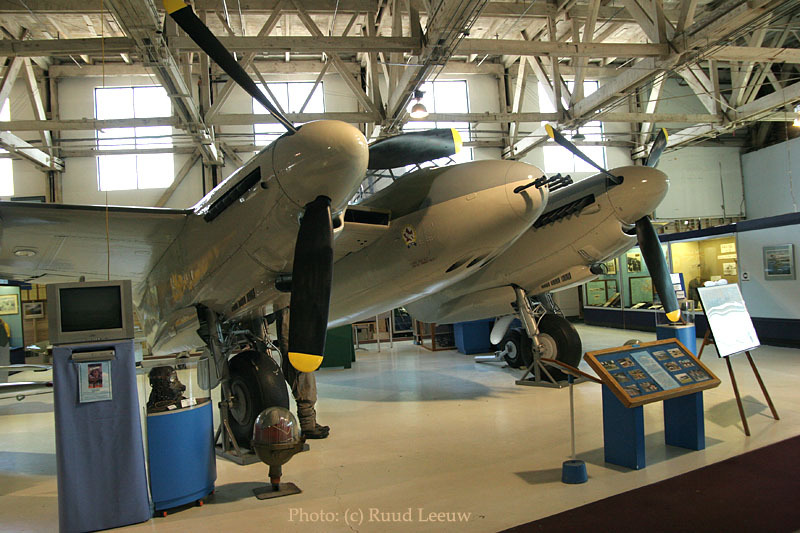 To this day, one third of the museum's visitors are from out of the country, many veterans coming from Europe to show their families where they learned to fly, perhaps even where they met their mother. 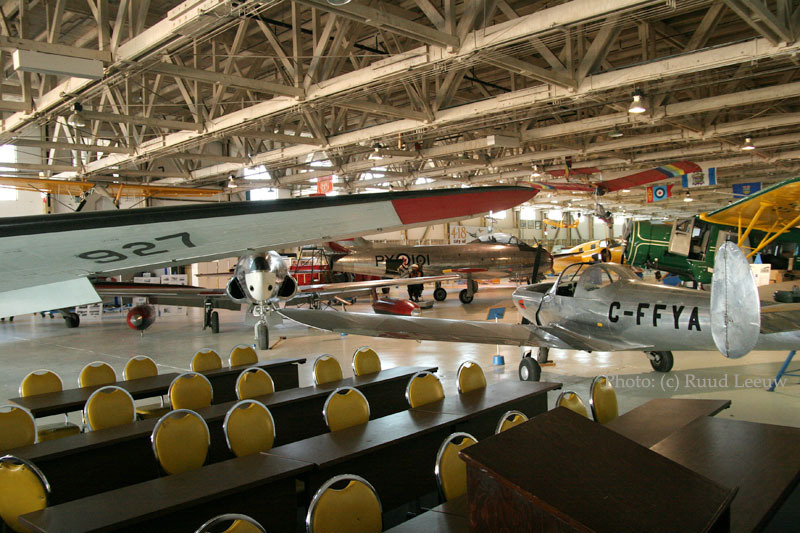 After opening on Jan. 2, 1927, the airport will be officially closed to make way for redevelopment on Nov. 30 of this year, bringing an end to 102 years of history and leaving the future of the Alberta Aviation Museum in jeopardy. While the museum had lobbied to keep enough space for a taxi lane to be able to remain operational at a basic level, that request was denied and they will be restricted only to their existing footprint. This means at least 15 historically-significant aircraft will have to be evacuated and kept in long-term storage offsite, never to return to the museum. 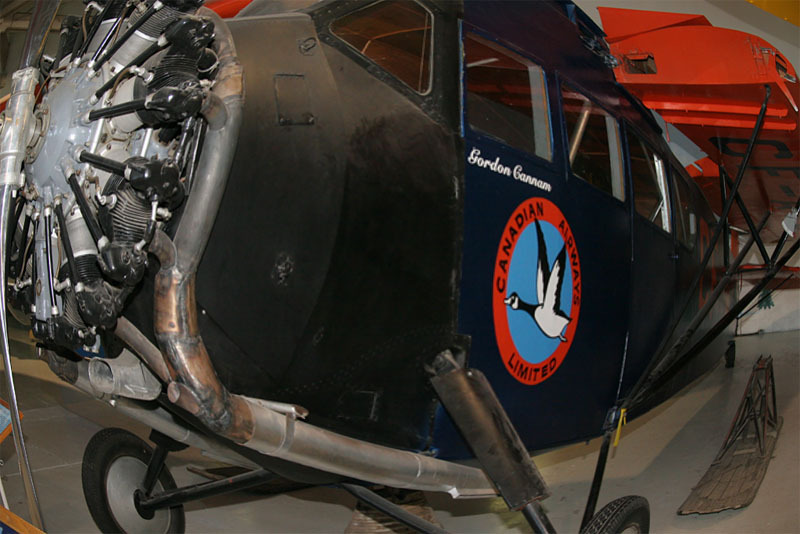 "If they fly out, they will not be returning to this museum," Hinderks said. 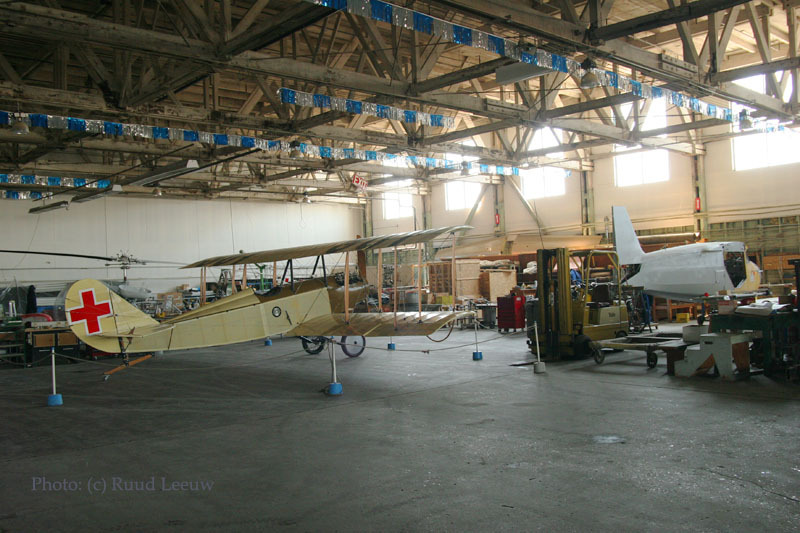 With no room to move the aircraft, all planes on exhibit will now have to be completely disassembled in order to be moved, a costly and time consuming exercise. To make matters worse, the museum, housed in the last remaining "double-double" Second World War British Commonwealth Air Training Plan hangar, will have their lease expire in four years, with no guarantee of renewal. 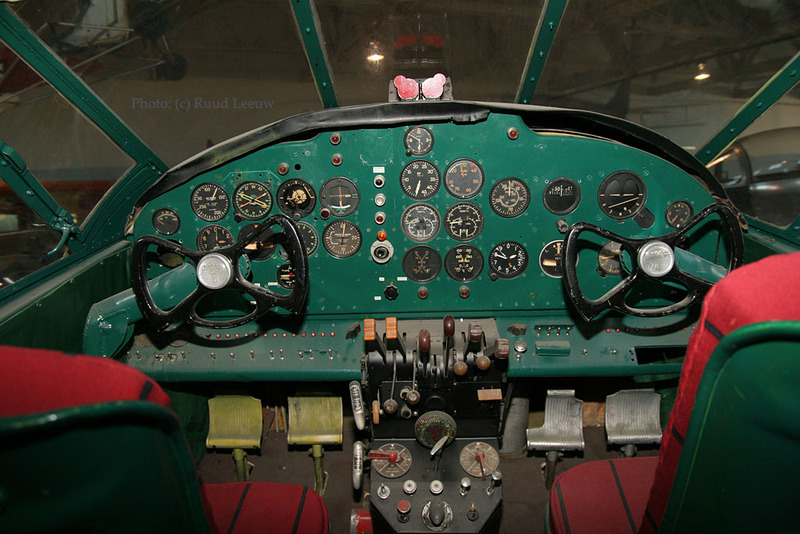 This uncertainty has made fundraising nearly impossible and, with lost revenue from the aircraft that used to rent space as well as rising costs of storing these precious historic airplanes offsite, has left the museum in a desperate scramble to survive. "We will do everything we possibly can to remain on this site," said Hinderks. "This is where the ghosts still walk. Moving the aviation museum makes about as much sense as moving the Tyrell dinosaur museum to downtown Calgary."